HD is well and truly home, and like all good pieces of technology, the next iteration is already here, and it is called 4K. If there was one thing I learnt in my recent visit to Berlin for IFA, it was that televisions are about to become more amazing than they have ever been, and it is all down to what the industry is calling 4K. 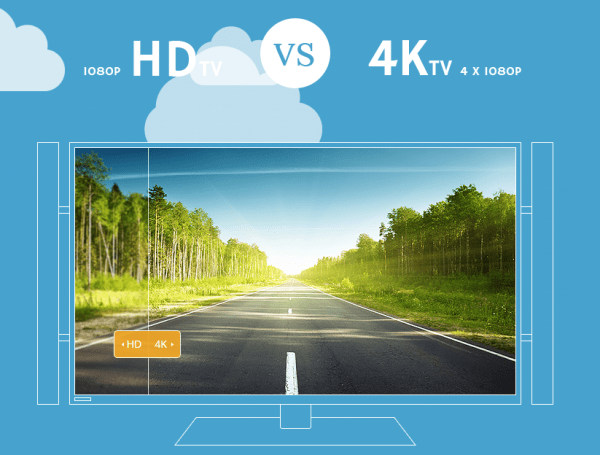 So, what is 4K? Quite simply, 4K offers you 4 times the resolution of HD, as in 4 times the detail. This means that not only is the image presented more clear than before, bigger televisions with experience not much different (personally, I’d say better!) to the cinema are becoming more and more possible. Historically, television has not changed much in the last century. Yeah, it was invented, slowly took over radio, and then went from black and white to coloured, but till the 90s nothing really changed. Screens got flatter, and bigger, but that was it. Big televisions simply took too much space, and were too heavy to move. At the turn of the century, new technologies started to appear, such as LED, OLED and LCD displays. None of these were brand new, but consumer need drove them to the state that now you can buy a fully HD television for a fraction of the price of what a proper television used to be. The change from CRT type television to the digital has also driven a new kind of change. 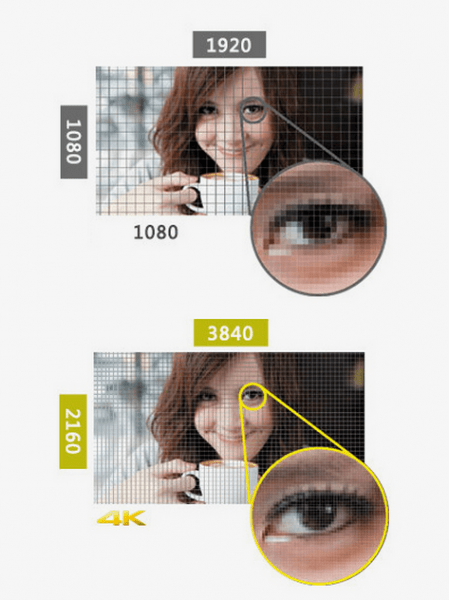 Displays have gone from CRT, which had the same kind of information no matter what your screen size, to digital, where your image is purely dependent on your size and number of pixels available. We went from what was termed SD to HD, and the change was immense. Documentaries, films and everything became crisper and more detailed, even Simpsons! Things were only going to change more, and this year has been the year of 4K. The technology is here, the televisions are being produced, and they are already hitting the markets. The amount of detail available is easily seen in the image above. Now you may wonder about the availability of content, and your concern is not too skeptical. It has taken many years for broadcasters to come up with proper HD channels and HD content. The answer, once again lies with the broadcasters. The answer is that there is a lot of content already available online, such as on platforms like YouTube and Vimeo. Netflix will be streaming 4K films pretty soon, and you have the likes of Sony jumping on the production too. We also have BSkyB working on some content. Personally though, I would love to see BBC get in on the act. Interestingly, packing in 4 times the amount of pixels on a screen size has given rise to a problem, as in fitting all those pixels in a given area. This has meant that 4K televisions are bigger than what we are used to. For example, the standard HD monitor I use at work is 21 inches, and I am sure I can go and buy a smaller one, i.e. 19 or 17 inches. However, for production sense, the smallest 4K television on the market is 55 inches. Just about perfect for your average British home! If you have any concerns about connectivity though, do not worry. 4K televisions use the good old HDMI leads we are already used to. To check out more information about the available 4K televisions on the market, visit the Panasonic 4K television range.